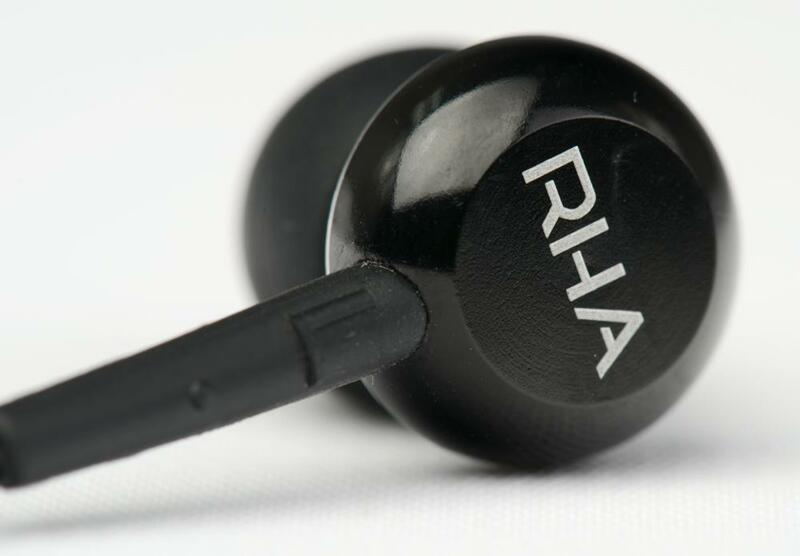 RHA gets seriously close to redefining what can be done at that price point with the MA450i. Were it not for our considerable trepidation over their treble (it’s a deal-breaker for us) ,we’d offer an additional point to our score. Our first exposure to RHA headphones came around this time last year, when a pair of the SA-850 on-ear headphones showed up at our desk. While a strong effort for $80, the SA-850 didn’t quite resonate with us. The diamond-shaped stitching on the headband, short cable length and what were then described as “muddy highs” kept us from tendering a rounding endorsement. Now Glasgow, Scotland’s RHA has two new headphone models crossing the pond: The MA450i in-ear headphone is an update to the company’s MA350 and is available as of right now, while the SA-950i on-ear headphone — which stands to replace to the aforementioned SA-850 – will be released later in October of this year. Can RHA do better with in-ear headphones than it has with the more traditional type? We popped in the MA450i to find out. We’ll offer our full take on the SA-950i closer to launch (though, as a preview, we don’t mind telling you that they are an improvement on their predecessor). RHA packages the MA450i in a rather unassuming, dark grey box with bright orange accents – a design that is sure to fit right in at the Apple store. Inside the box we found the earphones, a felt storage pouch with drawstring, and an above-and-beyond selection of six different eartip sizes, for a total of seven with the pair already installed. We consider this a big deal, since earphone sound quality depends greatly on properly fitted eartips — the more options, the better. In addition to a solid selection of eartips, we noticed that RHA opted for an eartip design that employs a slightly rigid plastic tube through which sound is channeled. This design never affected comfort levels, but, in our case, did serve to facilitate a better seal. Take note, however, that the eartips can be a little tricky to install, since the tube material is not as malleable as the silicone it’s surrounded by. 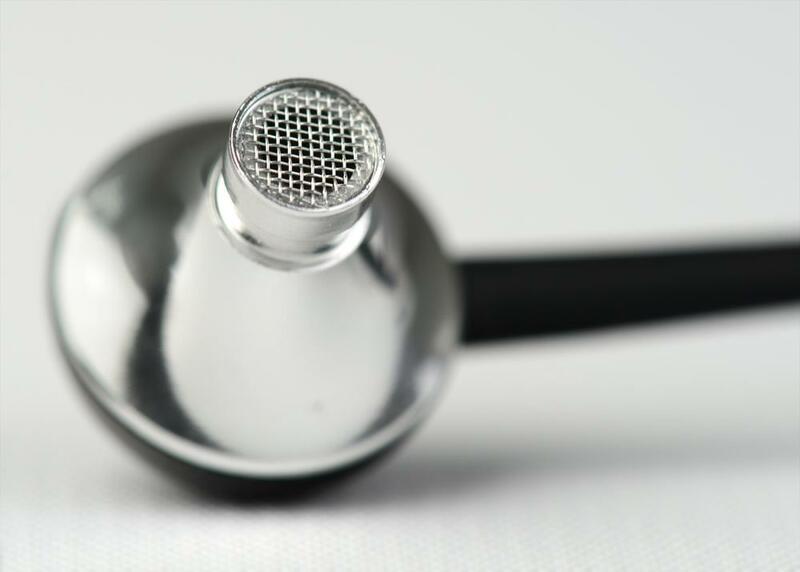 RHA claims that the MA450i’s shape is inspired by “the aerophonic” design of a trumpet’s bell, a bit of marketing copy that piques this particular reviewer’s interest, as he happens to be a professional trumpet player. No doubt, there will be much brass sampled through the MA450i during this review. The MA450i are machined from a solid piece of aluminum, coated with a scratch-resistant material, then outfitted with 10mm drivers. The earphone cable, which runs roughly 5 feet, is covered with a woven fabric in an attempt to reduce tangling and protect the wires within. Once relaxed from a tightly coiled position, the cable does a good job of remaining manageable. Of course, that “i” in the model number indicates iOS device compatibility – a requisite feature for any product to make an Apple store appearance. 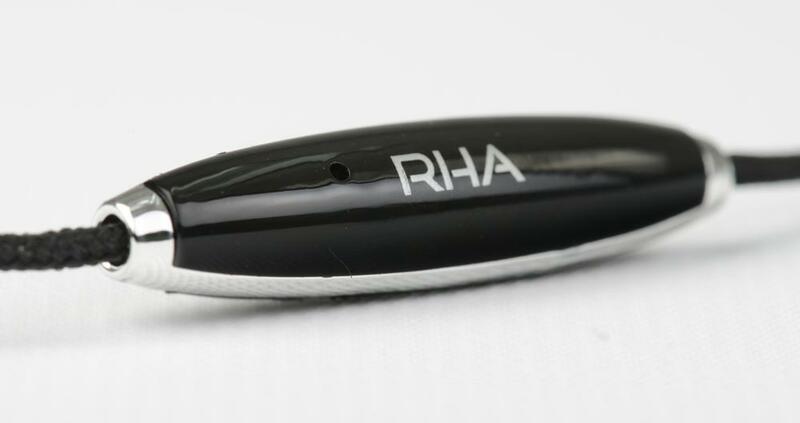 In this case, RHA has included a three-button microphone that wins points for its easily distinguishable button, solid feel and close proximity to the mouth – an important consideration for any microphone, if you ask us. To evaluate the MA450i, we used an iPhone 4S loaded with a mix of high resolution and standard 256kbps iTunes tracks as well as a HeadRoom Micro DAC and Micro Amp fed by a computer loaded with uncompressed audio test tracks. The MA450i gave us a real scare straight out of the box. Without any break-in time, these earphones were unbearably harsh. The brash treatment of high frequencies had us first wincing, followed by yanking the earphones out with haste. Having experienced similar situations with a broad mix of both in-ear and on-ear headphones (as well as having just listened to the SA950i’s nearly polar opposite sound signature) we decided some considerable break-in time was in order. After three hours of constant play time, the MA450i had already smoothed out a bit, though not enough for our tastes. We gave them another three hours and then launched into our evaluation. These earphones pump out some impressive, linear bass response. From OutKast to Oscar Peterson, bass was faithfully rendered, with perhaps just a bit of emphasis below 200Hz for flair. The MA450i played evenly from 200Hz down to about 35Hz, where they seemed to roll off precipitously. Absent was any mid-bass bloat that would give the earphones an artificially fat feeling – an aspect we truly appreciate. Vocal reproduction – and midrange performance in general – was very good. We enjoyed listening to “Seven Days” by Sting and The Police as Sting’s voice performance came through clearly and distinctly without any veiling of the upper midrange region. Unfortunately, that same track exposed the harshness issues we had experienced before, though to a lesser degree this time. Every time Sting pronounced an “S” sound, the MA450i bit at our ears a bit. The same came with each thwack of Stuart Copeland’s snare drum, which sounded both artificially thin and poignant. With our attention hung up on this high frequency issue – and recalling RHA’s trumpet reference in the product design copy – we decided to work the MA450i over with some brass-heavy material. Here, we had mixed results, depending on the nature of the recording. Bob Curnow’s L.A. Big Band featuring Bobby Shew offers a tribute to two modern jazz giants with The Music of Pat Metheny and Lyle Mays. This happens to be a warm recording, so the MA450i sounded excellent as we made our way through all 12 tracks. However, Maceo Parker’s recent collaboration with the WDR big band, Soul Classics, is, while a very fun record, anything but warm. The bright brass and aggressive Alto sax work put the MA450i’s brightness issue under a microscope and, for us, it was uncomfortable. The MA450i did, however, exhibit an excellent soundstage and truly mesmerizing imaging properties – something we rarely experience with earphones and even more rarely from those under a $100 price point, let alone at $50. We heard instruments as if they were coming from various locations both around us and well outside of our headspace. It was a fun trick, and we want to hear more! The MA450i also happen to be supremely comfortable. We wore them for over three hours in a row with absolutely no ear fatigue whatsoever. We can’t recall the last time we wore an in-ear for that long without any problems. It is possible that, with 30 more hours of break in, the MA450i might smooth out enough that they wouldn’t rub us the wrong way so much – and we’ll certainly give them that chance – but we have our doubts. Plus, we think most folks just aren’t that patient. With that said, those who aren’t too sensitive about high frequency response and/or those who are constantly proclaiming that they want headphones that sound more “crisp” (we abhor that adjective, by the way) will probably enjoy the MA450i. We can see listeners, in time, getting used to the distinct sound and possibly even enjoying it. And if not, we would encourage folks to check out the SA-950i, due out in a few weeks, because – seriously – it puts out an entirely different sound. Frankly, we’ve been largely unimpressed with the sub-$50 in-ear headphone offerings lately. 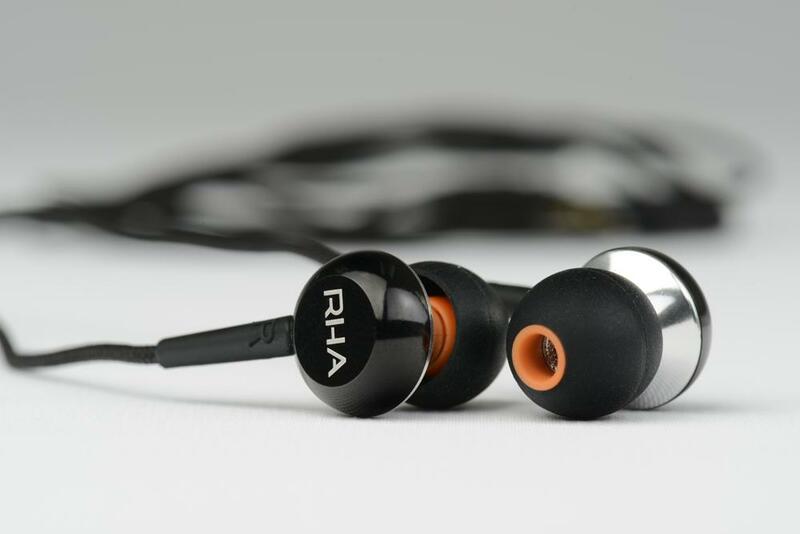 RHA gets seriously close to redefining what can be done at that price point with the MA450i. Were it not for our considerable trepidation over their treble (it’s a deal-breaker for us) ,we’d offer an additional point to our score. As it stands, however, we are rating these at 6.5.